Objectives: present research results and discuss the challenges of linking field geologists, fault modellers, earthquake-rupture simulators, data modellers, and seismic hazard practitioners. testing approaches to ensure that the wealth of data available today is used following state-of-the-art methods, rigorous uncertainty handling, and appropriate input model parameterization. 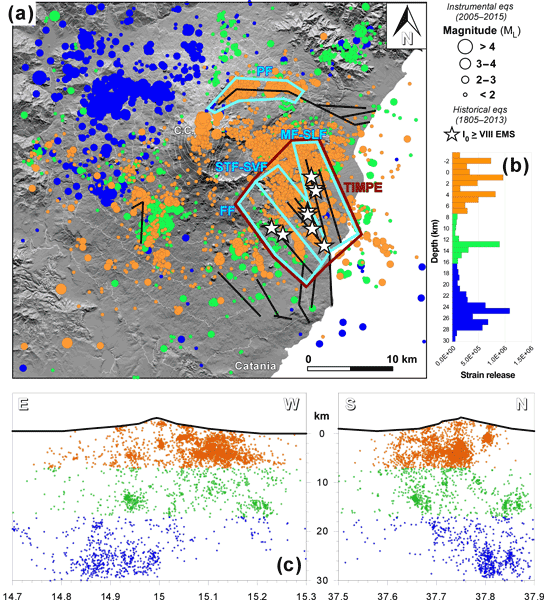 This contribution provides an updated planar seismic source characterization (SSC) model to be used in the probabilistic seismic hazard assessment (PSHA) for Istanbul. 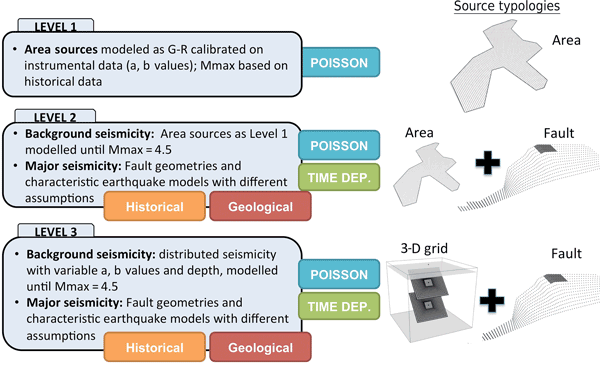 The state-of-the-art SSC model presented here is the first fully documented and ready-to-use fault-based SSC model developed for the PSHA of Istanbul. It is well known that volcanoes and earthquakes are associated, and some active volcanoes cause damaging earthquakes. Nonetheless, volcanoes usually are not pinpointed on a hazard map, as the effects of shallow, volcanic earthquakes can be overshadowed by stronger tectonic earthquakes in the region, particularly when long exposure periods are considered. In this study we faced some challenges with software implementations and original concept scheme for an original PSHA at Mt. Etna, Italy. Earthquakes are produced by sudden movements of rock masses along surfaces called faults. Major earthquakes are produced by major faults. It is important to know where these faults are located in a territory. Major faults can be seen in the landscape as they control the morphology of the terrain. In the field geologists determine their last movement and the rate they move at over time. This information is stored in active fault databases and later used for earthquake prevention.